Waking up with red and bloodshot eyes is not a great way to start the day, but many people experience this problem. When the whites of the eyes turn red, you may feel worried. Well, red or bloodshot eyes are not always a serious problem, but anything related to the eyes should not be ignored. The whites of the eyes appear bloodshot or red due to changes to the blood vessels that supply the membrane covering the front of the eye. This can happen due to an infection like conjunctivitis. Several other common conditions that may cause redness in the eyes include blepharitis, a sty, a chalazion and dry eyes. There are some serious conditions linked to red eyes, which include corneal scratches or abrasions, uveitis and glaucoma. Such serious conditions should be diagnosed and treated by an eye doctor. Other day-to-day activities, habits and illnesses can lead to red eyes. 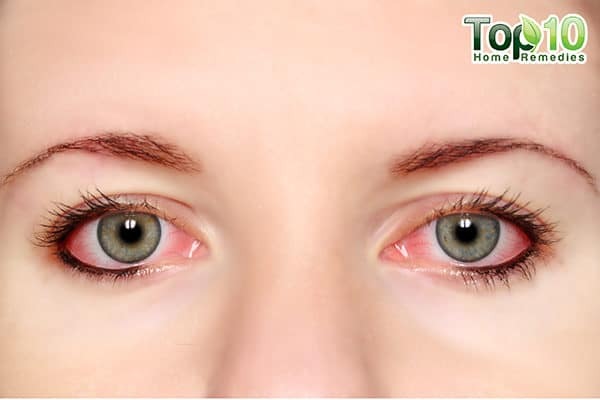 People who are constantly surrounded by allergens, such as pollen or smoke, may have red eyes. Dry air, humidity, wind and exposure to sunlight can also have an effect. Too much coughing or even suffering from a cold or flu can cause red blotches to appear in your eyes. However, it clears up soon. Also, working for long hours in front of a computer, wearing contact lens for an extended period of time, excessive drinking and rubbing the eyes vigorously can lead to red eyes. According to the American Academy of Ophthalmology, red eyes can also feel uncomfortable, itchy or watery (1). In most cases, the conditions that cause eye redness aren’t serious and will clear up without medical treatment within a week or two. 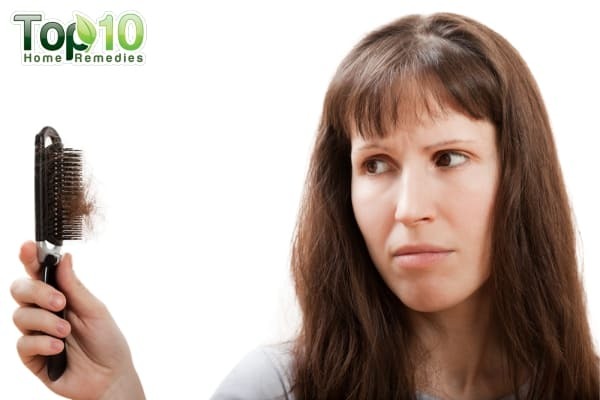 Meanwhile, there are several home remedies that can help relieve any symptoms you may be experiencing. Caution: If you have red eyes that are also painful and sensitive to light, see a doctor immediately. Here are the top 10 home remedies for red eyes. If you have red eyes due to exposure to dust, harsh sunrays, pollen or any chemical, avoid constantly rubbing your eyes as it will only increase the inflammation and cause more redness. Instead, to relieve this discomfort, rinse your eyes several times a day. To do so, simply splash some cool water on your eyes. Do it several times to soothe your eyes and help get rid of the irritant that’s causing the eye redness. Placing a warm compress over your eyelids can also help deal with bloodshot eyes. The heat from the compress increases blood circulation to the area and promotes the formation of tears, which in turn reduces eye dryness. A warm compress will also soothe eye irritation. Dip a lint-free cloth in warm water and wring out the excess water. Lie down comfortably, close your eyes and place the warm towel over your eyelids for 1 minute. 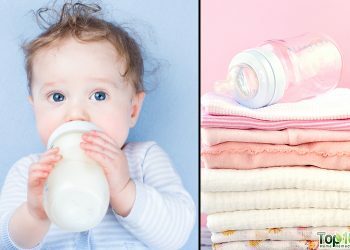 Change the washcloth and repeat the process 3 or 4 times. Finally, give your eyes a nice rinse with lukewarm water. Use this treatment 1 or 2 times daily. Caution: As the eyes are very sensitive, check the temperature of the cloth before applying it over the eyelids. It is always best to use separate washcloths for each eye. 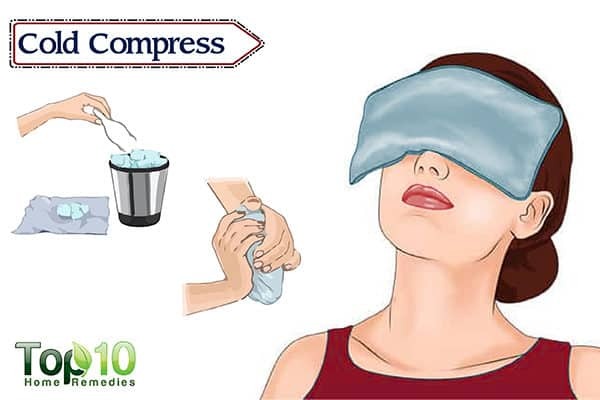 Cold compresses are also very effective at treating inflammation and swelling in your eyes that can cause redness. The cold temperature will help tighten up the skin around your eyes as well as relax the blood vessels. This in turn will reduce eye redness. Dip a soft washcloth in cold water and wring out the extra water. Place the cold washcloth on your closed eyelids for 5 to 10 minutes. Repeat as needed. Alternatively, wrap a few ice cubes in a clean cloth. Place it on your closed eyelids for 1 minute. 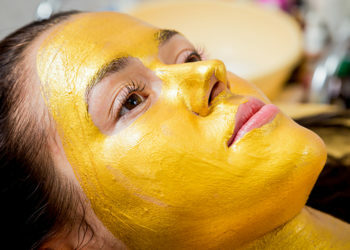 Take a 5-minute break, then reapply the compress for 1 minute. Do it 2 or 3 times a day. Rose water has a soothing and relaxing effect on your eyes. Its anti-inflammatory properties reduce inflammation and irritation in your eyes, which in turn reduces the redness. 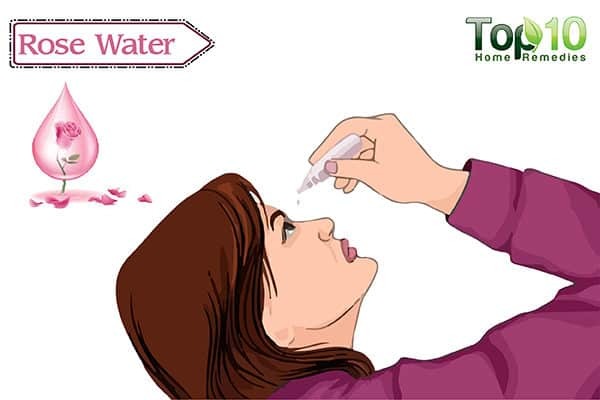 A 2010 study published in Ophthalmology and Eye Diseases reports that when used in eye drops to treat conjunctivitis, the antiseptic and analgesic properties of rose water help a lot (2). Soak 2 cotton pads in rose water. Place the soaked pads on your closed eyes. Leave them on for 15 minutes. Do this once or twice daily. Another option is to put 2 or 3 drops of rose water in your eyes twice a day. Make sure you are using pure and good-quality rose water. Do not throw away used black tea bags. You can use them to reduce eye redness. Tea is rich in tannins and bioflavonoids that can be effective in treating red eyes. A 2012 study published in the Journal of Pharmacognosy and Phytochemistry highlights the astringent properties of tannins, which are present in abundance in tea (3). Put 2 used black tea bags in the refrigerator for 30 minutes. Lie down and put the chilled tea bags over your closed eyelids. Leave them in place for 10 to 15 minutes. Repeat a few times a day or until the redness goes away. Cucumber is another excellent cure for red eyes. 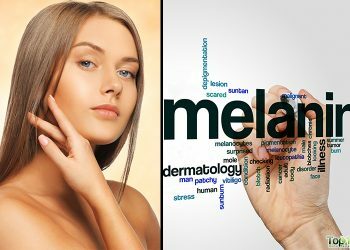 It helps shrink the blood vessels in your eyes and treats the condition. 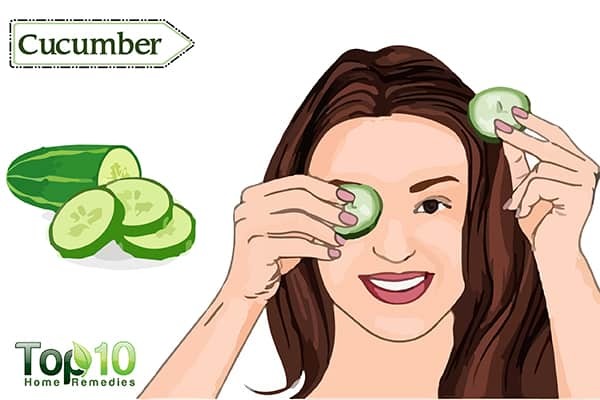 The soothing nature of cucumber relaxes strained eyes and even reduces the uneasy feelings caused by red eyes. A 2014 study published in the International Journal of Chemistry and Pharmaceutical Sciences highlights the hydrating, nourishing and astringent properties in cucumber (4). Cut a few slices of a refrigerated cucumber. Place a slice on each eye. Leave it on for about 30 minutes. Repeat 2 or 3 times daily for best results. Aloe vera possesses anti-inflammatory and antioxidant properties that help in dealing with red and irritated eyes. Its ethanol and ethyl acetate extracts are often used in eye drops to prevent inflammation. A 2012 study published in Pharmaceutical Biology reports that aloe vera contains multiple pharmacologically active substances that are capable of modulating cellular phenotypes and functions. 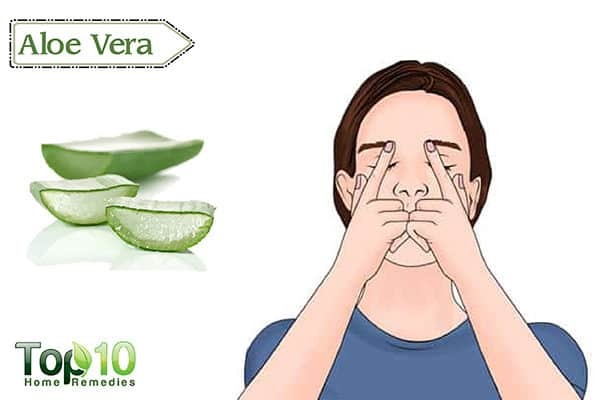 Aloe vera ethanol and ethyl acetate extracts may be used in eye drops to treat inflammation and other ailments of external parts of the eyes, such as the cornea (5). 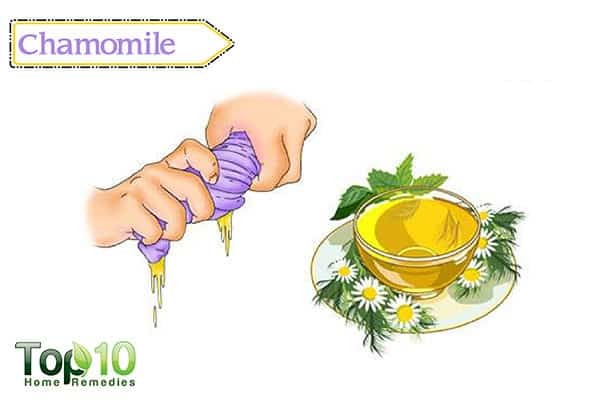 Blend together equal amounts of aloe vera gel and water. Refrigerate the mixture for 1 hour. Soak 2 cotton pads in the cool mixture and place them over your closed eyes. Leave them on for 20 to 30 minutes. Do this 2 or 3 times a day. Regular blinking can improve the flow of tears to help moisten the eyes. It will even help get rid of irritants that may be causing bloodshot eyes. 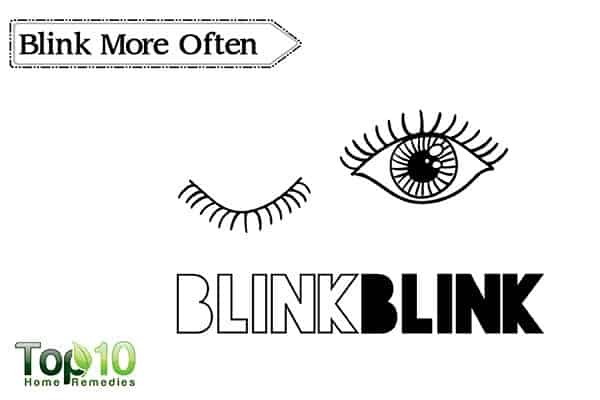 Blinking also helps reduce symptoms of dry eyes as well as eye strain. Close your eyes fully and count to 2. Then, squeeze the eyelids together and again count to 2. Finally, open your eyes and count to 2. Do this 5 or 6 times to complete a set. You can do this blinking exercise a few times a day. 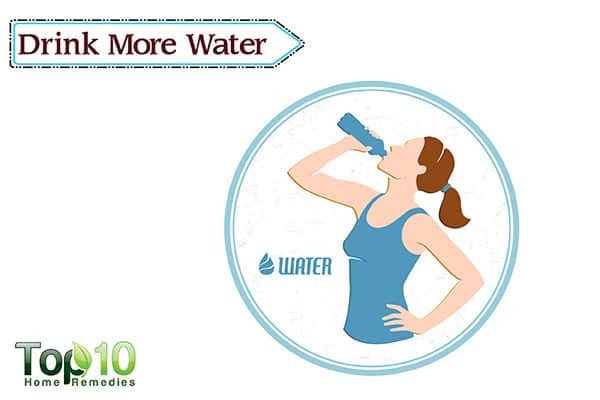 A good way to get rid of red eyes that are due to crying or too much alcohol is to drink water. Crying and drinking in excess can cause dehydration, and drinking water will help keep the body hydrated. When the body is well-hydrated, blood vessels that supply the membranes covering the front of the eyes will function properly. Water also helps flush toxins out of the body. Sip on water at regular intervals. If you don’t like plain water, squeeze in a bit of lemon juice or try flavored water. At the same time, avoid coffee, alcohol and soda. They have a dehydrating effect on the body. Due to its powerful anti-allergenic effects, chamomile tea can also be used as a cold compress or eyewash to help reduce eye redness. 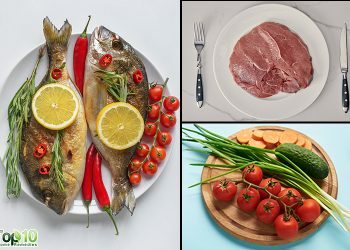 It inhibits the release of histamine, which helps prevent an allergic reaction that can lead to red eyes. Chamomile also benefits strained and dry eyes. Steep 1 chamomile tea bag in a cup of hot water for 5 minutes. Remove the tea bag and allow the tea to cool. Use the cool tea as homemade eyewash, 2 or 3 times a day. Alternatively, put used chamomile tea bags in the refrigerator. 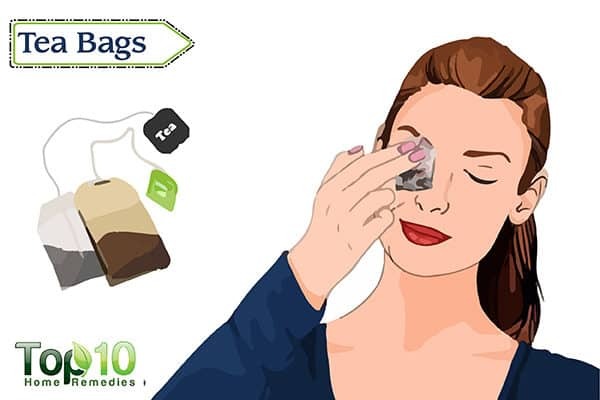 Put the chilled tea bags over your closed eyelids for about 10 minutes. Do this 3 or 4 times a day for fast recovery. Always wash your hands if you’ve been in contact with anyone who has an eye infection. Never go to sleep without removing your eye makeup. Do not wear contact lenses for prolonged periods. Always clean your contact lenses before and after using them. Avoid sitting in front of your computer for long hours, as it may strain your eyes. Make sure you take breaks to give your eyes a rest. Avoid contact with substances that may cause irritation to your eyes. If any foreign substance or irritant enters your eyes, splash cool water on your eyes immediately. Drinking and smoking can also aggravate your eyes and cause redness. Home Remedies for Bloodshot Eyes – And When to See a Doctor. American Academy of Ophthalmology. 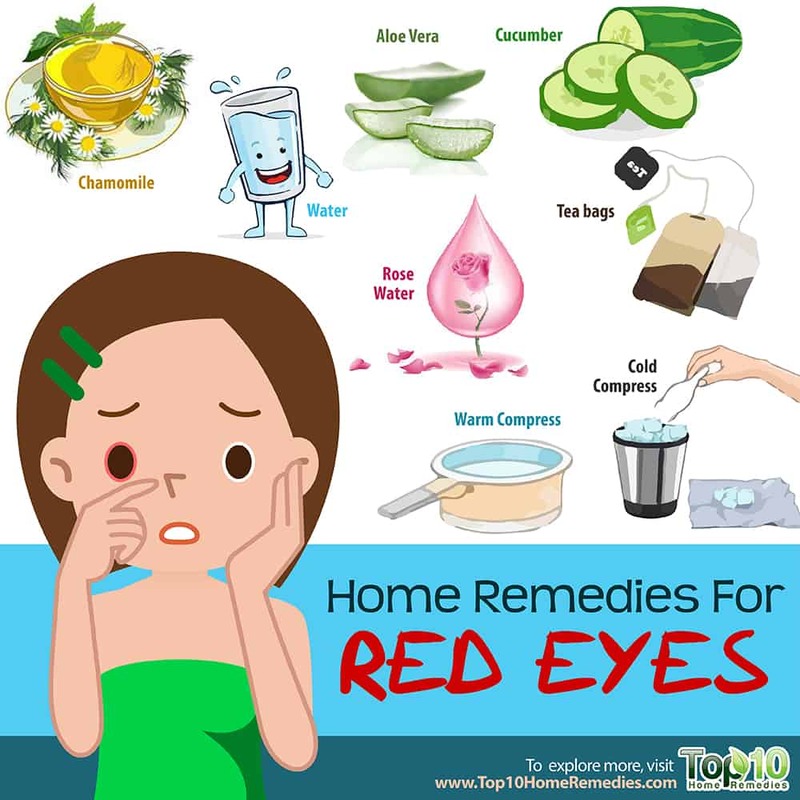 https://www.aao.org/eye-health/tips-prevention/home-remedies-bloodshot-eyes-when-to-see-doctor. Published January 22, 2018. Anti-inflammatory and Antihistaminic Study of a Unani Eye Drop Formulation. Ophthalmology and Eye Diseases. https://www.ncbi.nlm.nih.gov/pmc/articles/PMC3661513/. Published 2010. Tannins are Astringen. Journal of Pharmacognosy and Phytochemistry. http://www.phytojournal.com/vol1Issue3/Issue_sept_2012/8.1.pdf. Invigorating Efficacy of Cucumis Sativas for Healthcare. International Journal of Chemistry and Pharmaceutical Sciences. http://www.pharmaresearchlibrary.com/wp-content/uploads/2014/04/IJCPS2001.pdf. Aloe vera extract activity on human corneal cells. Pharmaceutical Biology. https://www.ncbi.nlm.nih.gov/pubmed/22338121. Published February 2012.
salted water can be used once a day for red eyes. You need to wash your eyes with a little salt added to 6 ounces of water. Secondly, the herb, “Eye bright” can be used to wash eyes once a day for red eyes, or for Uveitis. Open two capsules in a teacup of hot water, steep for 5 to 10 minutes, and wash eyes. By the way, Eyebright can be taken once a day in capsule form for keeping eyes healthy.